Visit historic Bobbin Head Information Centre for information on walking, picnicking and the Aboriginal culture of Ku-ring-gai National Park, a short drive from Sydney. 10am to 4pm daily. 9am to 4pm during summer school holidays. Closed for lunch from 12pm to 12:30pm. Closed Christmas Day. Make the most of your day trip to Ku-ring-gai Chase National Park with a visit to the historic Bobbin Inn, which now houses the information centre. The friendly staff can provide the lowdown on walking tracks, paddling routes, or the best picnic spot to suit a family outing or impress your visitors. Whether you’re picking up a brochure or wanting to discover more about parks and reserves in the northern Sydney area, find out about the plants and animals of the region before heading out. You can enquire about school and group activities and tours, as well as pick up a great range of books, maps and souvenirs with an Australian theme. It’s a short walk along Birrawanna walking track to nearby Kalkari Discovery Centre, where you can learn about the people of the Guringai Aboriginal Nation. Suitably inspired, head out with a picnic and enjoy your day exploring Sydney’s nature playground. Nearby there’s a children’s playground that’s sure to be a hit with kids and you can pick up a coffee at the Bobbin Inn Café or tuck into some beautiful Mediterranean cuisine at Galley Foods Restaurant and Kiosk. Buy an annual pass (https://www.nationalparks.nsw.gov.au/visit-a-park/parks/kuringgai-chase-national-park/visitor-info#Fees-and-passes). All the practical information you need to know about Bobbin Head Information Centre. Bobbin Head Information Centre is in the Bobbin Head precinct of Ku-ring-gai National Park. To get there, follow Bobbin Head Road and follow the signs. Parking is available at Bobbin Head Information Centre. It can be a busy place on the weekend, so parking might be limited. Ku-ring-gai Chase National Park offers an exceptional visit all year round. You're sure to find a walk, tour, activity or attraction to appeal, regardless of the season. If you're interested in wildflower displays, set aside a day in August or September to stroll through the park's blooming heathlands. Bring your fishing gear and go camping at The Basin. Barrenjoey Head (on the other side of Pittwater, but still in the park) is an excellent spot for whale watching. Take the Barrenjoey Lighthouse Walk between May and August or celebrate International Lighthouse and Lightship Weekend in August. The aquatic environment around rivers, lakes and lagoons can be unpredictable. If you're visiting these areas, take note of these river and lake safety tips. Gathering firewood and the use of heat beads is not permitted. 10am to 4pm daily. 9am to 4pm during summer school holidays, closed 12pm-12:30pm. Closed Christmas Day. 9am to 5pm daily. 9am to 4pm daily in June and July. Closed Christmas Day. Parramatta offers a fascinating insight into early colonial life in Australia. Don't miss a visit to Old Government House, now one of 11 Australian Convict Sites on the UNESCO World Heritage list. No trip to Sydney is complete without spending some time in the city’s beautiful parks. Whether it’s in central areas like Hyde Park or the Royal Botanic Gardens or further out in Centennial Parklands, there’s plenty of green space to go out and enjoy. Located on Sydney's upper north shore, Wahroonga is within short driving distance of Lane Cove National Park, Berowra Valley Regional Park, and the heritage-listed Ku-ring-gai Chase National Park. Australia's second-oldest national park, Ku-ring-gai Chase offers a range of recreational activities, as well as cafes and picnic areas. Ku-ring-gai Chase National Park is situated within the Sydney Metropolitan Area, 20km north of the Sydney CBD. The park runs from St Ives to the shores of the Hawkesbury River at Brooklyn. 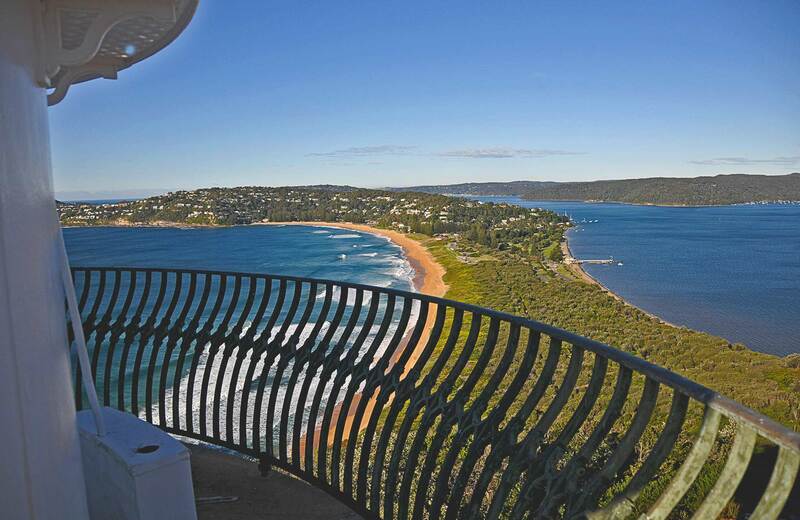 The 14,882ha park also includes the stunning Barrenjoey Head, 1km across Pittwater at Palm Beach. Multiple entry points offer easy access – one of the many reasons this park is so popular with locals. With everything from jogging tracks to picnic areas and great places to whalewatch, Ku-ring-gai Chase National Park is excellent for outdoor activity. Hire paddle boats from Bobbin Inn, walk the Gibberagong track, horse ride the Perimeter trail or cycle from Mt Colah to Pymble station. Akuna Bay Boating enthusiasts love Akuna Bay. Use the public barbecue and enjoy a picnic at Akuna Bay Marina. It's the ideal spot to recharge after you've been out sailing. Bobbin Head Visit Bobbin Head picnic area in Ku-ring-gai Chase National Park and enjoy a barbecue or a spot of fishing. Go canoeing or hire a paddle boat for a great daytrip from Sydney. The Guringai Aboriginal people originally inhabited the area, and the park showcases their rich cultural heritage. More than 350 Aboriginal sites have been recorded in Ku-ring-gai Chase National Park. They include rock engravings, burial sites, axe grinding grooves and places that show evidence of Aboriginal occupation. For many visitors, these sites and other relics are the most visible reminders of the area's rich, living Aboriginal culture. Aboriginal Heritage walk Take the fascinating Aboriginal Heritage walk highlighting rock art and engravings of the Guringai people of West Head in Ku-ring-gai Chase National Park. The Basin track and Mackerel track The Basin track and Mackerel track offer stunning ocean views, as well as one of Sydney's best Aboriginal Art sites. You can also enjoy a picnic and swim, or catch a ferry to other scenic spots on Pittwater. Walk to Aboriginal engraving sites at West Head Join guest Aboriginal tour leader, Laurie Bimson from Guringai Aboriginal Tours, on this fascinating 3hr, 1km walk at West Head. We'll visit 3 Aboriginal engraving sites, driving between some of them. Over 160 bird species have been recorded in the park so bring those binoculars to see wood ducks, crimson rosellas, wedge-tailed eagles and pelicans. The Basin campground is home to some confident kookaburras, so keep a tight hold on your lunch. Waratah walking track The long, yet gentle, Waratah walking track takes in wildflowers and scenic water views over Akuna and Yeomens Bay in Ku-ring-gai Chase National Park. Protecting a major part of northern Sydney’s waterways, Ku-ring-gai Chase National Park is the ideal place to make a splash. The park includes much of the Hawkesbury River, Pittwater and Cowan Water, plus numerous creeks and coves. You’ll find good facilities at Empire Marina, amazing sea views at Barrenjoey Head and several good spots for a waterfront picnic. Great North walk stage 7: Hawkesbury panorama Challenge yourself in stage 7 of the Great North walk series. You’ll hike 13km across Sydney’s north and be greeted with panoramic views of the Hawkesbury region. Sphinx track walk Challenge yourself on this 6km, 4-hour guided walk in Ku-ring-gai Chase National Park. From Sphinx Memorial, we'll walk to Bobbin Head. Learn more about this fascinating area beside North Turramurra. West Head lookout Enjoy incredible views from West Head lookout, regarded as one of Sydney's best in Ku-ring-gai Chase National Park. Photograph Pittwater and Barrenjoey Head, or take a short walk from here.